This course will only be offered as an AYOP (At Your Own Pace) course during the 2019-20 school year. After August 2, families will be billed for their portion of the course based on the number of students enrolled in the class. We can't bill until we know final enrolled numbers. To guarantee your child's spot in the class, payment for the course must be received by August 15. After that, seating will be opened to waiting list families, and students will be seated first come, first serve by payment date. NOTE: This course requires purchase of access to online Dave Ramsey content. Grades 9-12: This is a challenging course and NOT recommended for middle school. We will be offering a Personal Finance course from Dave Ramsey as well. That is under a separate course listing. That will offer both a live and AYOP option. Access to the online course will begin September 1, 2019 through June 30, 2020. This course is done as a partnership with Dave Ramsey. We do a bulk buy of their Entrepreneurship class for our families. The Entrepreneurship class is a shorter Elective class. It is not full year credit. We will verify exact length soon, but believe it is a four unit long course. There is no charge for the VHSG portion of the course. VHSG is charged a bulk cost from Dave Ramsey for offering the class. Actual cost per student will be determined once we know how many enroll. This cost will be split evenly between students. We estimate the cost per student will be somewhere between $10 and $40 for the year course, depending how many sign up. The cost for the online course content and videos (required to take the course) will be determined upon enrollment completion. No books are needed. Everything for the course is in the online content used on Dave Ramsey's site. Payments will need to be received by August 15 in order to finalize enrollment. Once we have the enrollment totals at the beginning of August, we will post the amount due along with the payment instructions. Each student will need to pay by August 15 to get access to the class page. 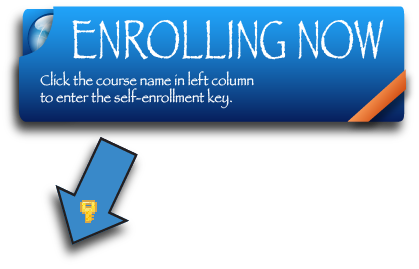 This copy of the course is a temporary seating page for enrollment purposes only. You will not be added to the final course page on Dave Ramsey's site until you have paid. Information on payment will be on the temporary course page after you enroll. Grades 9-12: This is a challenging course and NOT recommended for middle school. Dave Ramsey does have a middle school curriculum available, but we are using the high school level only this year. We will be offering an AYOP Entrepreneurship course from Dave Ramsey as well. That is under a separate course listing. That will not have a live option this year, as the build for it will not be ready until next year. This course is done as a partnership with Dave Ramsey. We will use videos and online course content from their website, and homework will be completed on Dave Ramsey's system. Each student will be required to purchase access to Dave Ramsey's site for the video and course access. This is equivalent to purchasing a book in a typical course. No additional books are required beyond the online course and video access. Students will be completing a budget, looking at their own personal finances during each chapter of this course. There are quizzes and exams that are automatically computer-scored. There are additional activities and assignments available for the students, but will need to be completed on their own and graded by the parent. Parents will find the assignment sheets, the worksheets and the answer keys on the VHSG Moodle site. For this reason, a parent must be enrolled in the VHSG course for each student enrolled in order to access these materials. VHSG is charged a bulk cost for offering the class. Actual cost per student will be determined once we know how many enroll. This cost will be split evenly between students. We estimate the cost per student will be somewhere between $10 and $40 for the year course, depending how many sign up.